Happy Monday and hope you had a fabulous 4th of July weekend. My extended weekend was kicked off with a quick photoshoot for the blog and a manicure outing afterwards. I had a cake tasting with a friend in preparation for her upcoming wedding and ended the weekend with a fun cookout. I love culottes and this evelyn culottes is currently one of my favorites. The unique stripe, high-waist and fit got me; I am officially a big fan of Solace London and their culottes. 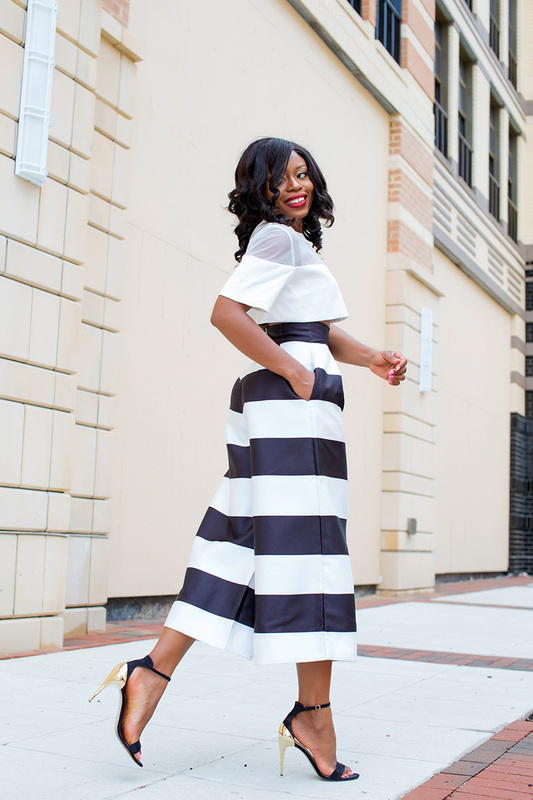 When I style culottes, I am mindful of proportions as such, I paired it with a loose crop top that is not bulky. I completed the look with simple strappy heels. 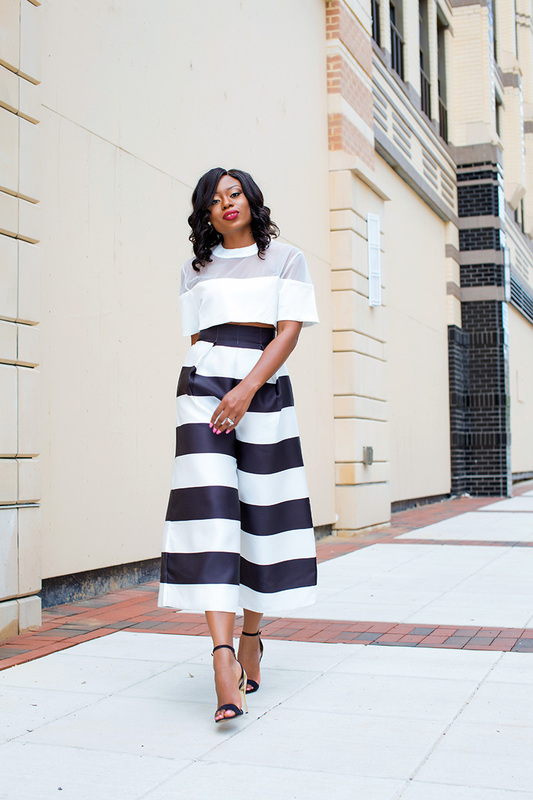 What are your thoughts on culottes? Thank you always for stopping by, have a great week ahead! Oh my word. I looove your outfit, your style amazing. Oh my word, looove your Outfit, your style amazing. those are so stunning! I love that they are a more "evening" styled culotte that can be dressed up! Oh Stella, this look is FIRE!!! 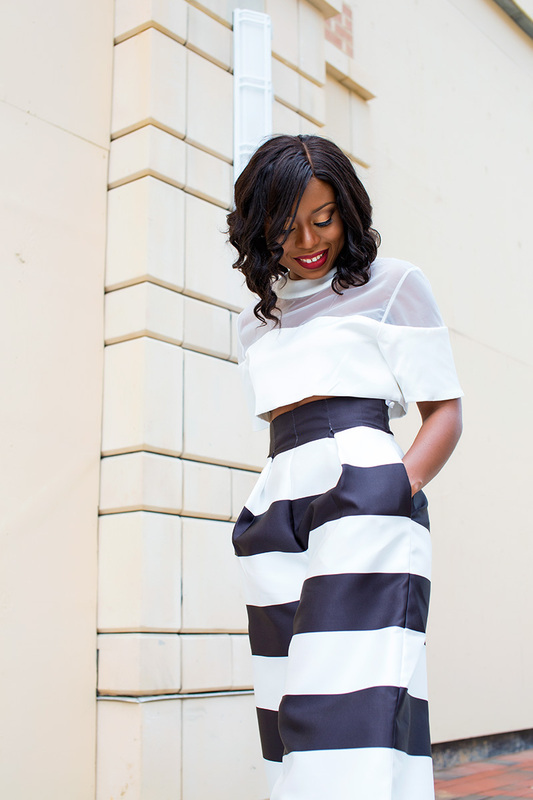 I love the culottes trend, they are just as pretty as a midi-skirt and cooler than basic trousers. This may be my favorite so far...love it!